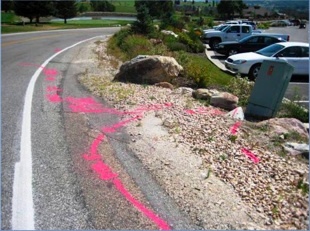 SUE Solutions, Inc. staff members provided UDOT Region 1 and UDOT Design Consultant with subsurface utility engineering design services for the SR-158 Safety Improvement project located in Weber County, Utah. SUE Solutions successfully completed the Subsurface Utility Engineering tasks for this project by providing Quality Level ‘B’ (designating) and Quality Level ‘A’ (potholing) services. The design Consultant provided SUE Solutions with the critical areas where the Quality Level ‘B’ (horizontal designation) SUE services were to take place. As the Quality Level ‘B’ services were completed, pothole locations were conveyed to SUE Solutions where the potholing (Quality Level ‘A’) process commenced. Coordination efforts between SUE Solutions and local utility locating companies (Blue Stakes) as the potholing process began proved to be critical as locations provided by Blue Stakes did not match those provided by SUE Solutions. Upon further investigations by Blue Stakes and Quality Level ‘A’ potholing, the Quality Level ‘B’ horizontal markings as located and recorded by SUE Solutions were found to be correct. In addition, through SUE Solutions’ extensive and thorough utility research, private utility owners which are not currently on the Blue Stakes One-Call system were found. The utilities identified were for buried CATV and buried Fiber Optics and were critical to the design of the project. 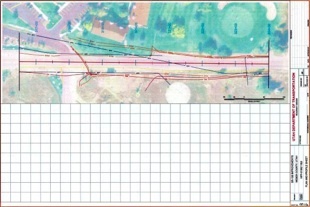 The final deliverable for this project included an extensive final report documenting utility findings, in field discrepancies between existing utility owner mapping and existing topographical conditions, utility limitations, Quality Level ‘B’ mapping, Quality Level ‘B’ photographs, Testhole Data Sheets, and Quality Level ‘A’ photographs.